I just came back from seeing the new movie, “Risen”. I recommend it highly. I have seen a lot of Bible-themed and faith-based movies over the years. Risen is something encouragingly different. You see, the problem with most bible-themed and faith-based movies is they fall short in at least one of the major category. Either the writing is transparent, the acting weak, the directing is misguided or the production is cheap. Risen is a clear difference, hitting on all four cylinders. Joseph Fiennes solid portrayal in the lead is moving and draws viewers into a well-told story. The story is summed up with one statement. When asked, “What frightens you?” Clavius (Fiennes) responds, “Being wrong. Wagering eternity on it.” Yes, Clavius is a non-biblical/fictional figure, but he becomes the personification of each and every person who has faced the truth of the resurrection and said, it can’t be true. As he proceeds on behalf of the Roman empire in an attempt to prove the false claims, we are reminded of the words of Sherlock Holmes, in The Sign of the Four “when you have eliminated the impossible, whatever remains, however improbable, must be the truth.” This is where Clavius finds himself. For those who are familiar with the account of Jesus resurrection, “Risen” provides a fresh perspective. For those who are not, they will find a compelling investigation as they see events through the eyes of a skeptic who must reconcile what he believes to be true with all the evidence that is laid before him. This entry was posted in Easter, Movie Review and tagged Christ, faith, Jesus, Messiah, resurrection, risen on February 20, 2016 by Brian Olson. He lives, He lives! Christ Jesus lives today! He lives within my heart! And tho’ my heart grows weary, I never will despair. Eternal hallelujahs to Jesus Christ, the King! But if it is preached that Christ has been raised from the dead, how can some of you say that there is no resurrection of the dead? If there is no resurrection of the dead, then not even Christ has been raised. And if Christ has not been raised, our preaching is useless and so is your faith. More than that, we are then found to be false witnesses about God, for we have testified about God that he raised Christ from the dead. But he did not raise him if in fact the dead are not raised. For if the dead are not raised, then Christ has not been raised either. And if Christ has not been raised, your faith is futile; you are still in your sins. Then those also who have fallen asleep in Christ are lost. If only for this life we have hope in Christ, we are of all people most to be pitied. But Christ has indeed been raised from the dead, the first fruits of those who have fallen asleep. For since death came through a man, the resurrection of the dead comes also through a man. The hymn declares that “I know that He is living, whatever men may say.” This is the challenge that so many of us face. The world around us questions, “How can you know that Jesus is alive?” A valid question, after all just because we read something is a book, does not make it true. Yes, the book in question is the Bible, the inspired Word of God which we believe as an act of faith, but there is something more than simple faith to knowing the Jesus lives. And so the hymn continues to build on the truth of knowing Jesus as we read, “In all the world around me I see His loving care.” We live in an amazing world. A world that sits in a tedious balance, a balance that necessary for the very existence of life. And while all experience tells us that things eventually wind done and fall apart, this world remains. It maintains this balance. This is the very hand of God, holding the world together. We can see it all around us. Why can we say that we know? It is simple in that if we believe in Jesus Christ, all will begin to come clear. Yet it is challenging, in seeing past the business of our lives to look and listen for Him. This entry was posted in Devotional, Hymns, Worship and tagged Christ, Christ Jesus, He Lives, Heart, in my heart, Jesus, Jesus Christ, Jesus lives, Salvation on April 9, 2015 by Brian Olson. And the soldiers twisted together a crown of thorns and put it on His head, and put a purple robe on Him; and they began to come up to Him and say, “Hail, King of the Jews!” and to give Him slaps in the face. Surely he took up our pain and bore our suffering, yet we considered him punished by God, stricken by him, and afflicted. But he was pierced for our transgressions, he was crushed for our iniquities; the punishment that brought us peace was on him, and by his wounds we are healed. We all, like sheep, have gone astray, each of us has turned to our own way; and the Lord has laid on him the iniquity of us all. History is full of what we call dark hours. In American History the civil war is considered by many the darkest time in American history. During the war an estimated 620,000 people lost their lives. Perhaps the darkest time was July 1 – 3, 1863, The Battle of Gettysburg. Neighbor against neighbor, brother against brother, in the bloodiest battle ever fought on United States soil. Over 46,000 Americans lost their lives. Since then there have been other, the stock market crash of 1929 saw 23,000 people committing suicide in one year. The December 11, 1941 attack on Pearl Harbor saw 2,500 people lose their lives. The September 11, 2001 attacks on the World Trade Center and the Pentagon saw 2,996 people lose their lives. The hymn begins,”O sacred Head, now wounded, with grief and shame weighed down, Now scornfully surrounded with thorns, Thine only crown.” As we look back at the events, so long ago, we can not help but be moved. Jesus had entered Jerusalem welcomed by the people as a long awaited King. They had praised him and followed with anxious anticipation of His ascension to the throne. But things had not gone as the people had expected. Jesus had not challenged the Roman rule, but the leaders of Israel themselves. He had caused a turmoil in the temple as He challenged the practices that had become so accepted. But all had changed. He was betrayed by one of his closest friends. He was arrest and tried for blasphemy, claiming to be equal with God. He had been beaten beyond recognition. The people who once had greeted him with such exhilaration now mocked him openly. The soldiers who took him away “twisted together a crown of thorns and put it on His head, and put a purple robe on Him; and they began to come up to Him and say, ‘Hail, King of the Jews!’ and to give Him slaps in the face.” (John 19:2 – 3) And finally, he was taken away and crucified. The hymn then addresses a profound question that comes from the acceptance of what He has done. It continues, “What language shall I borrow to thank Thee, dearest friend, For this Thy dying sorrow, Thy pity without end?” How do you say thank you for something so wonderful, for something so impossible, for something that can not be put into words. A gift that Paul describes in 2 Corinthians 9:15 as “indescribable.” The answer is not in words, but in every aspect of our lives. How do we thank Him? By living our lives for him. This entry was posted in Devotional, Easter, Hymns, Worship and tagged beat, bleeding, Crown of thorns, crucifixion, darkest hour, God incarnate, Jesus, sacred head, Son of God, wounded on April 3, 2015 by Brian Olson. Were you there when the stone was rolled away? Were you there when He rose up from the grave? Someone ran, filled a sponge with wine vinegar, put it on a staff, and offered it to Jesus to drink. “Now leave him alone. Let’s see if Elijah comes to take him down,” he said. With a loud cry, Jesus breathed his last. Taking Jesus’ body, the two of them wrapped it, with the spices, in strips of linen. This was in accordance with Jewish burial customs. At the place where Jesus was crucified, there was a garden, and in the garden a new tomb, in which no one had ever been laid. Because it was the Jewish day of Preparation and since the tomb was nearby, they laid Jesus there. On the first day of the week, very early in the morning, the women took the spices they had prepared and went to the tomb. They found the stone rolled away from the tomb, but when they entered, they did not find the body of the Lord Jesus. While they were wondering about this, suddenly two men in clothes that gleamed like lightning stood beside them. In their fright the women bowed down with their faces to the ground, but the men said to them, “Why do you look for the living among the dead? He is not here; he has risen! Remember how he told you, while he was still with you in Galilee: ‘The Son of Man must be delivered over to the hands of sinners, be crucified and on the third day be raised again.’” Then they remembered his words. The the first verse starts our mind meditating on the events of that Friday two thousand years ago. “Were you there when they crucified my Lord? Were you there when they crucified my Lord?” So our minds begin a journey, looking back to that day. What must it have been like to stand there and see the events of Mark 15:25 – 37. “It was nine in the morning when they crucified him. The written notice of the charge against him read: the king of the jews. Imagine to have spent all those years with him. To have become friends and to have come to believe that he was the promised messiah, only to seemingly have it all ripped away. Imagine witnessing him dying the death of a criminal. The words of the verse continue with what is all to true. “Oh! Sometimes it causes me to tremble, tremble, tremble.” We shake and tremble at the loss of the one we loved so dear. The next verse now begins to go deeper into the crucifixion. We read, “Were you there when they nailed Him to the tree? Were you there when they nailed Him to the tree?” This is the nature of the crucifixion. Perhaps the most brutal form of execution ever devised by man. To be nailed to a tree, arms stretched wide. Nails through your hands and your feet. (John 20:25) To have to lift your body’s weight to breath, causing the tearing of flesh in the your hands. Every breath excruciating until you finally give up your last breath. This is what was witnessed by those who were present at the crucifixion. The hymn continues, “Were you there when they laid Him in the tomb? Were you there when they laid Him in the tomb?” There he was, their Lord and Savior. The man they had followed, waiting to see God’s power revealed, dead on a cross. So they lowered him from the cross and laid him in a tomb. There he laid, motionless with no life remaining. John 19:40 – 42 tells us that “Taking Jesus’ body, the two of them wrapped it, with the spices, in strips of linen. This was in accordance with Jewish burial customs. At the place where Jesus was crucified, there was a garden, and in the garden a new tomb, in which no one had ever been laid. Because it was the Jewish day of Preparation and since the tomb was nearby, they laid Jesus there.” Once they were finished, the tomb was closed with a stone across the entrance and He was left there. But this is not the end. This is not where the story closes. The next verses ask the question “Were you there when the stone was rolled away? Were you there when the stone was rolled away?” The stone had been placed to close the grave. It was a visual evidence that there was no life inside. It was a place that none would go. Yet we discover it has been rolled away. Luke 24:1 – 3 tells us that, “On the first day of the week, very early in the morning, the women took the spices they had prepared and went to the tomb. They found the stone rolled away from the tomb.” Why would the stone be rolled away? Why would someone want to enter a grave? 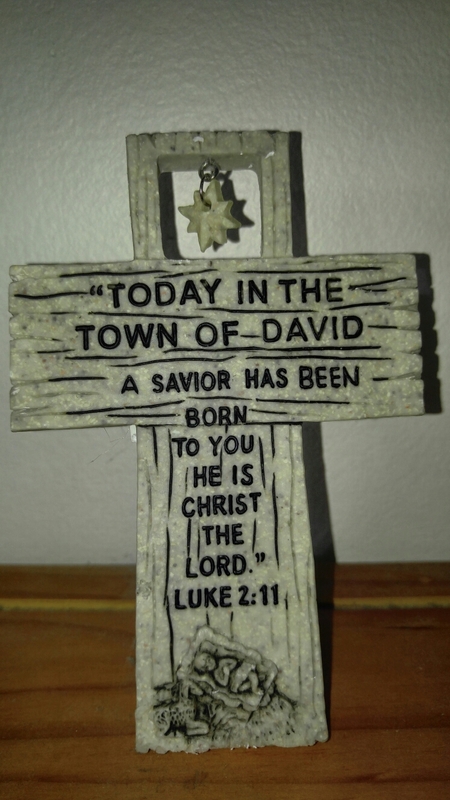 This entry was posted in Devotional, Easter, Hymns, Lent, Worship and tagged Christ, crucified, crucifixion, it causes me to tremble, Jesus, Lord Jesus, Messiah, nailed, risen, rose up, savior, tomb, tremble, Where you there on April 1, 2015 by Brian Olson. Praise Him! Praise Him! Jesus, our blessèd Redeemer! Sing, O Earth, His wonderful love proclaim! Strength and honor give to His holy Name! Tell of His excellent greatness. For our sins He suffered, and bled, and died. Love unbounded, wonderful, deep and strong. Heav’nly portals loud with hosannas ring! Jesus, Savior, reigneth forever and ever. Crown Him! Crown Him! Prophet, and Priest, and King! Pow’r and glory unto the Lord belong. Ascribe to the LORD the glory due his name; worship the LORD in the splendor of his holiness. Ascribe to the LORD the glory due his name; bring an offering and come into his courts. Praise Him with loud cymbals; Praise Him with resounding cymbals. Let everything that has breath praise the LORD. Praise the LORD! Praise the LORD! Praise the LORD from the heavens; Praise Him in the heights! Praise Him, all His angels; Praise Him, all His hosts! Praise Him, sun and moon; Praise Him, all stars of light! This is the God we are called to praise. And when we stop to realize who He is, when we stop to see what He has done, praising Him is not something we need to be told to do, it is something we feel compelled to do. Crosby gives us an amazing list of why to praise Him, but it is far from exhaustive. So when we find our focus on all of these reasons, to give Him praise is the least we can do in response. This entry was posted in Devotional, Easter, Hymns, Worship and tagged Father, glory, God, Jesus, praise, Praise Him, Praise the Lord, redeemer, worship on March 20, 2015 by Brian Olson. Deep down we are all the same. Yes, some of us prefer to be alone and some prefer to be around other people. Some of us prefer to be with people we know well and some prefer to continually meet new people. Some of us prefer to be with people like us and other prefer to spend time with people who are different. Yet despite all of these differences, deep down we are all want the same. We want somewhere to belong. And so we search for a place. Some search in relationships with other people. Some search in drugs and alcohol. Some search in money. Some search in work. Some search in helping others. And while these, at least for a short time, seem to give us a sense of purpose, in the end, even the most well-meaning of them, leaves us feeling empty. The hymn begins “My Jesus, I love Thee, I know Thou art mine.” We are looking for a place to belong, it is found in Jesus. And this belonging has a flip side found in Psalm 95:7 where we read, “for he is our God and we are the people of his pasture.” We are His and He is ours. This is the ultimate level of belonging, to know that we belong to someone and we can reciprocate. This entry was posted in Devotional, Easter, Hymns, Worship and tagged acceptance, belonging, he first loved us, I love, Jesus, love, My Jesus on March 17, 2015 by Brian Olson.